• Who says a kickstand can't be cool? Don't lean your bike against a tree or rock ever again. Our kickstands work great, fit good, and look more like a piece of art than a convenience item. 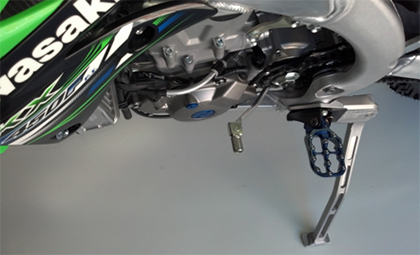 • All Kick-it kickstands bolt on using existing mounting locations. The stand features 6061 billet aluminum construction like all of our great products and is hard clear anodized for durability and ease of maintenance. When on the trail, the stand folds under the side panel. You won't even know it's there! 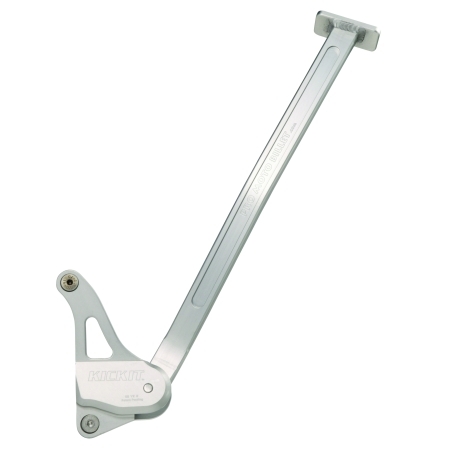 • Each kickstand comes with all necessary mounting hardware and instructions. 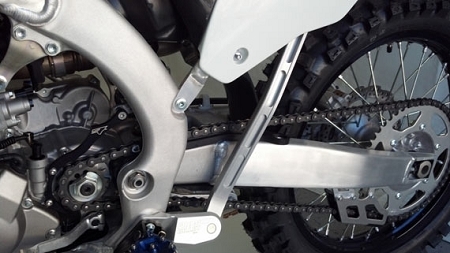 Mounts using the lower chain roller bolt and the sub frame bolt locations.